This guy blogs at http://scardelletti.blogspot.com. No, I don’t want his anti-evolution blog to get hits; I just want folks to see what we’re up against in the fight to end the use of Native mascots. Nearly 15 years later and my tune has changed only in that I’m more outspoken and less forgiving when it comes to protesting the use of Native imagery in sports (and entertainment in general). Plus, I’ve done a ton of academic research, news articles, and late-night discussions on the subject. The backlash I received from that first article (from a bunch of high school students, mind you) hasn’t really changed much, though. People are still super-ignorant and super-hateful to anyone who messes with their whitewashed view of the world (refer to that awesome poem above). And so I keep tabs on issue and watch with delight as the winds shift for (some) college teams and some national teams, as well. 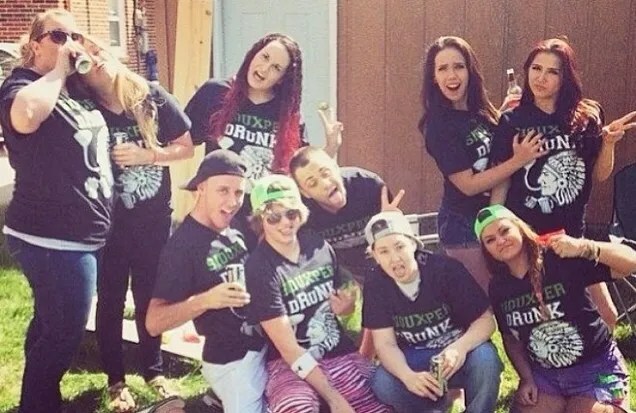 A mentor and amazing journalist Mark Trahant recently wrote a column about how 2014 will be the year the Washington football team ends its use of that murderous name. I hope so. Then someone posted on my Facebook feed last week about the Cleveland Indians getting rid of their racist caricature, Chief Wahoo. For those out there who aren’t baseball fans, Chief Wahoo is the buck-tooth-smiled, tomato-red Indian who looks like he wandered straight out of a Nazi propaganda cartoon and whose image serves as the logo for the team,” writes Los Angeles Times guest blogger Matthew Fleischer. 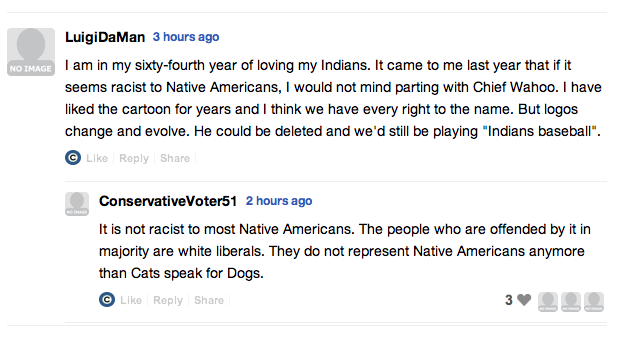 The Cleveland Indians are ridding themselves of that vile logo? It can’t be true, I thought pessimistically to myself. Considering most of the recent mascot debate has surrounded Washington’s football team, it didn’t seem likely Cleveland would just suddenly and without some big PR blitz retire the mascot it’s used since 1951. I did a Google news search and found sports writer Paul Lukas’ original Tweet/story reporting the mascot switch, then his follow-up Tweets/story that no one in the Cleveland baseball organization could/would officially confirm the change-up. I went to the baseball organization’s site, and while the “block C” logo was prominent, Chief Wahoo’s violent visage could be seen throughout the homepage (as of today, it still can). No, the rumors didn’t seem to be true. 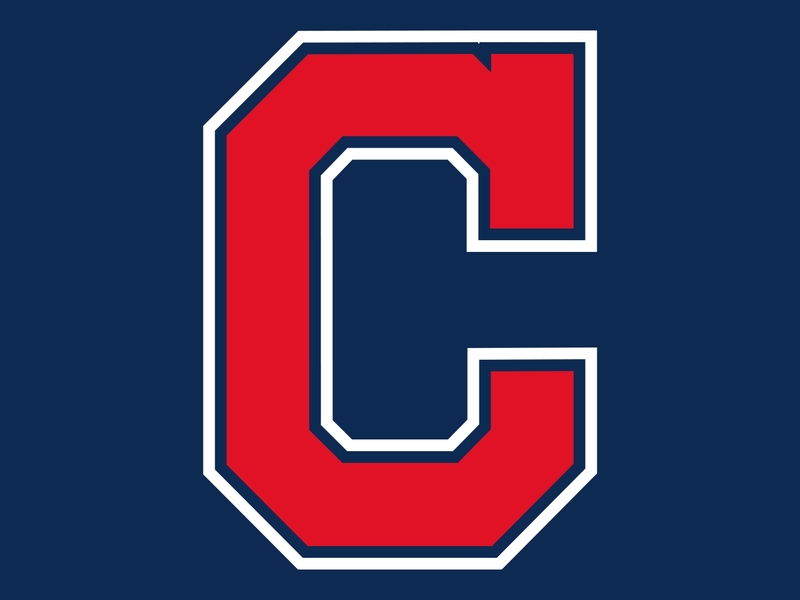 The Cleveland Indians have slowly phased out its Chief Wahoo logo in favor of that big C, but the team hasn’t eliminated the Chief completely. The smiling Indian caricature, deemed racist by many, will remain on the caps and jersey sleeves of its home uniform. It’s a few days later and this seems to be the extent of the Chief Wahoo story: The mascot is still in use, but only kinda. Lots of folks are quick to claim this small ‘victory,’ but it all rubs the wrong way. Don’t get me wrong, even a teeny-tiny step in the right direction is still the right direction, but why is Cleveland so mum on the issue? 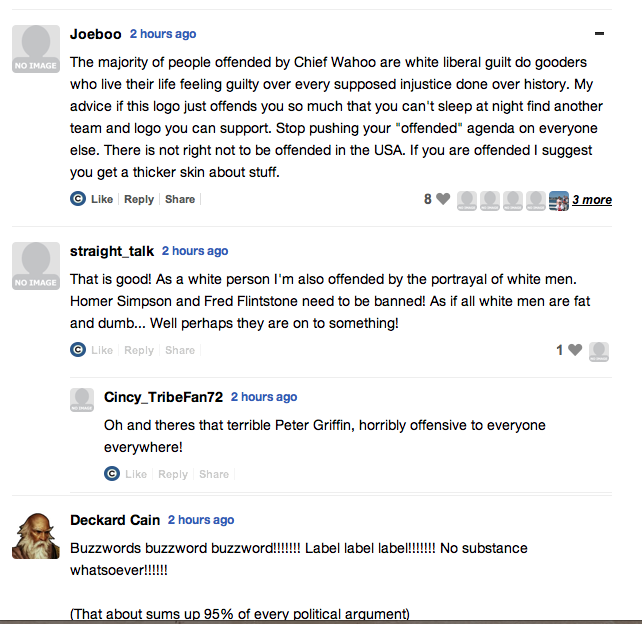 On a positive note, most of the talking heads in the sports blog-o-sphere (see Rob Neyer, Shaun Heidrick, Mark Naymik, and also be sure to check out Lukas’ and Fleischer’s articles mentioned above) are coming out on the side of legitimately retiring Chief Wahoo. Not demoting. Not putting him on some back-burner. But doing away with him once and for all. 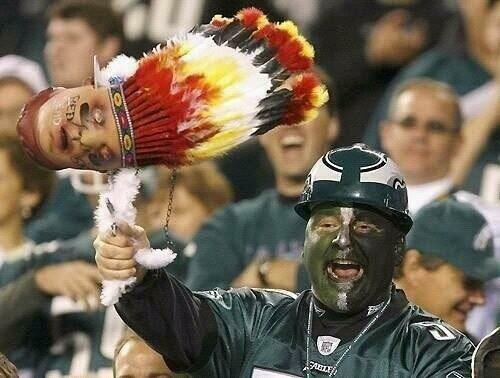 Hopefully the good here will be folks* recognizing a logo/mascot do not a team make. 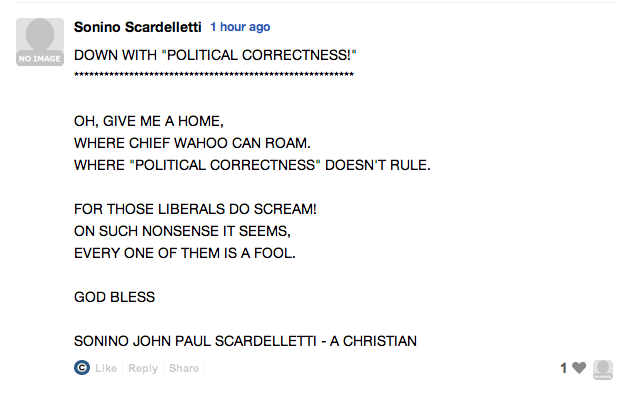 From the comments section, aka the American Cesspool or Where Trolls Reproduce. Want more on mascots? Check out some of my past blogs or hook into one my favorite academics @NativeApprops on Twitter.